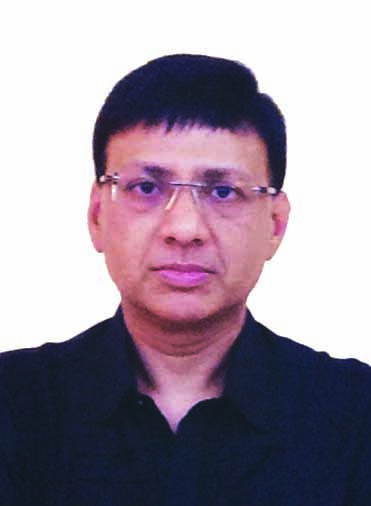 Vikas Gupta, Managing Director, Wiley India, is a veteran in the publishing industry and is particularly known for his significant contributions in professional skill development space. Vikas has done his Executive MBA from Indian School of Business, Hyderabad, in collaboration with The Wharton Business School and Kellogg School of Management. He also holds a post graduate diploma in Printing and Publishing Studies from London College of Printing and a Bachelor’s degree in Electronics Engineering. A passionate entrepreneur, Vikas has led multiple business ventures across diverse industries, over the years, including Publishing, Medical Electronics and Information Technology. In the year 1998, one of his ventures was featured as one of the ‘Sizzling IT Companies in India’ by a leading computer trade journal, Dataquest. During the same year he was nominated for the prestigious ‘Sista’s World Com Young Business Achiever’s Award’ for new the breed of entrepreneurs who had achieved remarkable success in their respective fields. Vikas is regularly invited to address several prestigious forums and events organized by leading industry bodies, including FICCI (Federation of Indian Chambers of Commerce), CII (Confederation of Indian Industry), NBT (National Book Trust, India) as well as leading Corporates and Universities, globally. With his best-selling publications on IT topics, Vikas Gupta has been a pioneer in making IT education accessible to masses. As an author, his books in IT domain have sold more than three million copies worldwide. Presently, Vikas Gupta heads Wiley’s operations in the Indian sub-continent. Wiley India Pvt. Ltd. is the Indian subsidiary of John Wiley & Sons, Inc. – a global provider of knowledge and knowledge-enabled solutions for more than 200 years. Under his leadership, Wiley has emerged as a frontrunner in creating cutting- edge learning resources in traditional as well as new-age media. Currently, he is engaged in designing global IT Certification Courses on upcoming technologies like Big Data, Cloud Computing, IT Security, etc. Vikas is highly passionate about creating innovative solutions in technology for imparting skill- based education leading to job-readiness and career enhancement. Towards this end, Vikas has been driving Wiley India’s initiatives to tie up with global universities and develop best-in-class, job role oriented, skill development courses in professional education domain. Globally recognized, industry-relevant courses, he believes, are instrumental in shaping the landscape of modern education and simultaneously addressing the skills-gap across industries.